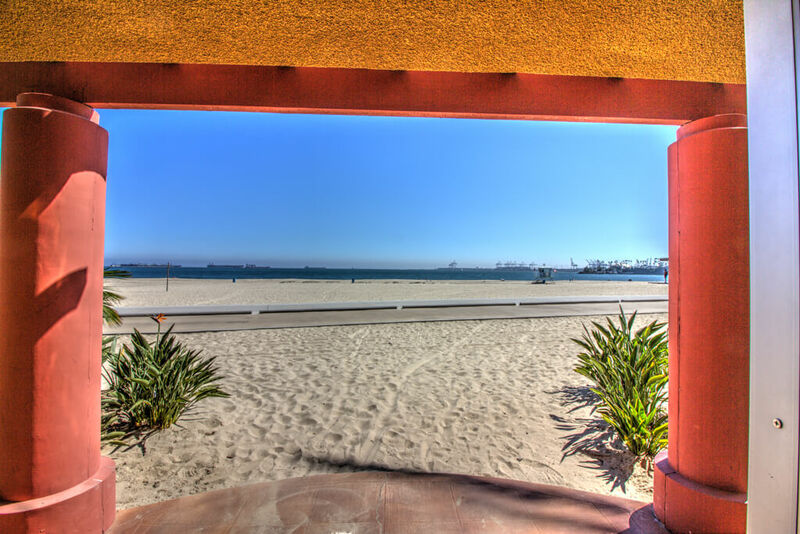 LUXURY, ocean front, ocean view and on the sand! 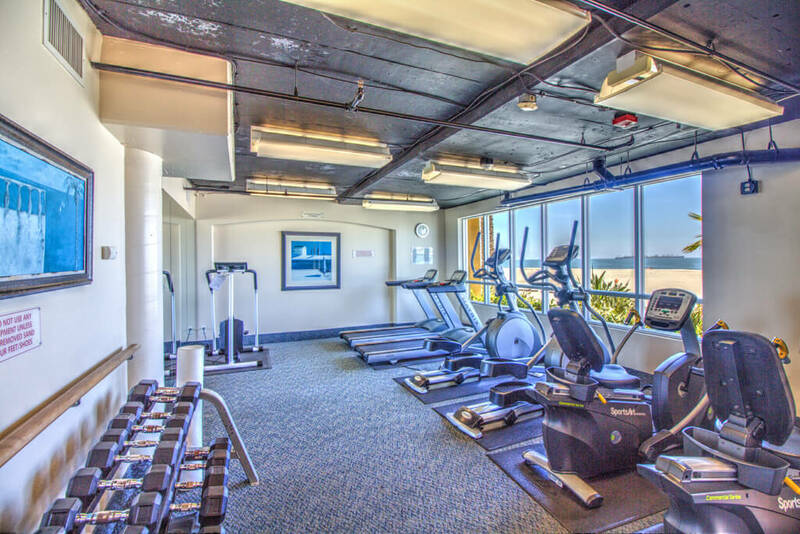 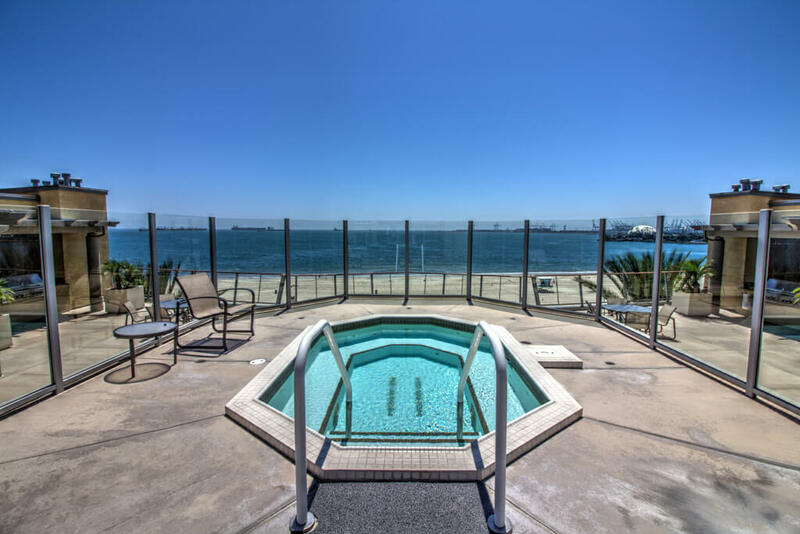 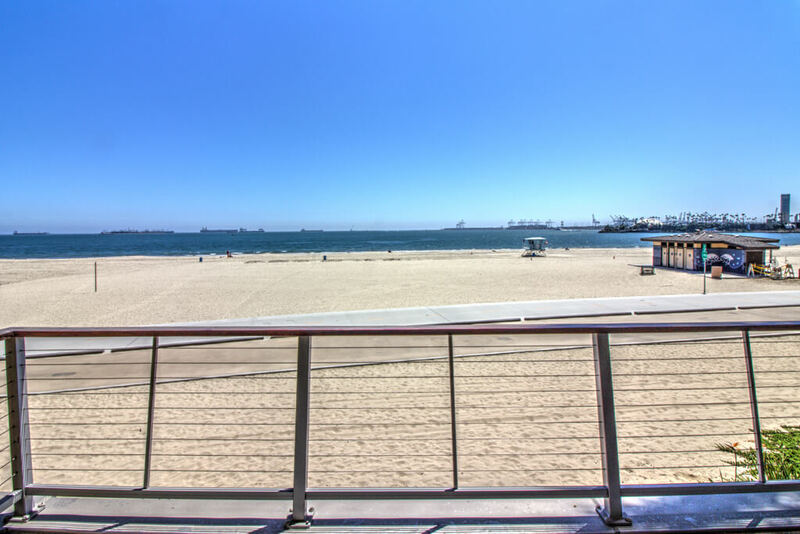 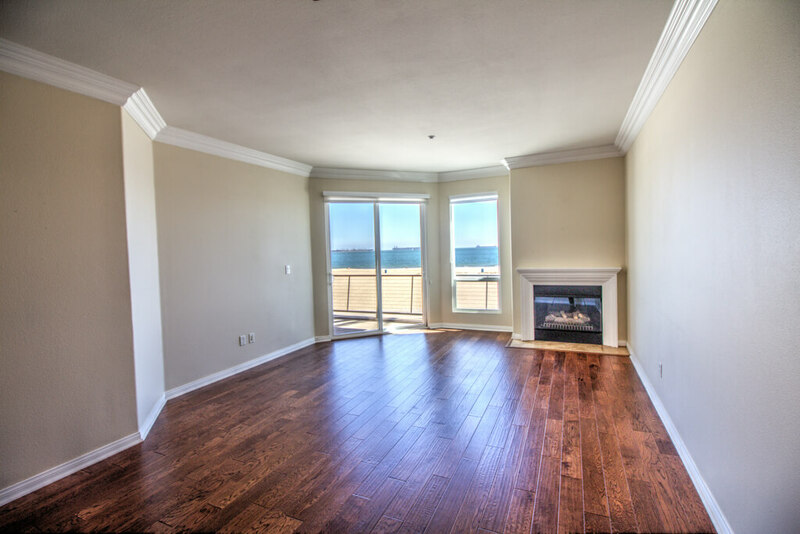 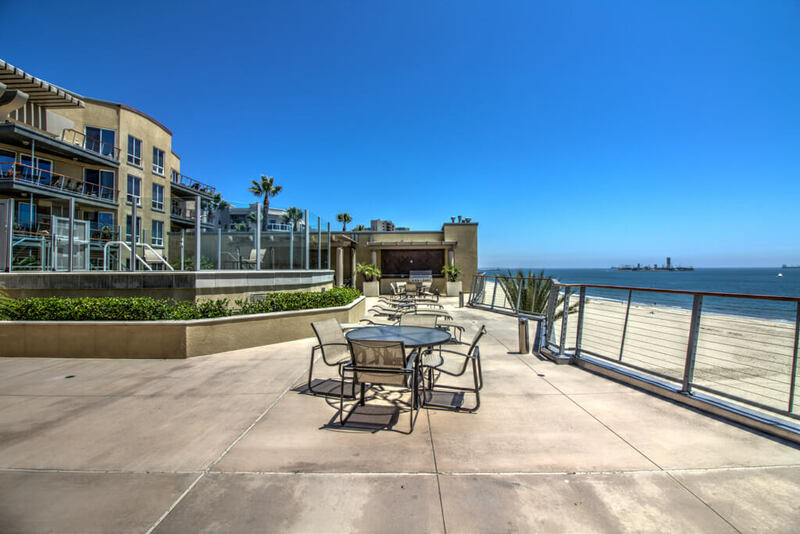 Enjoy the unobstructed beach and ocean views from your kitchen, living room, master bedroom and balcony. 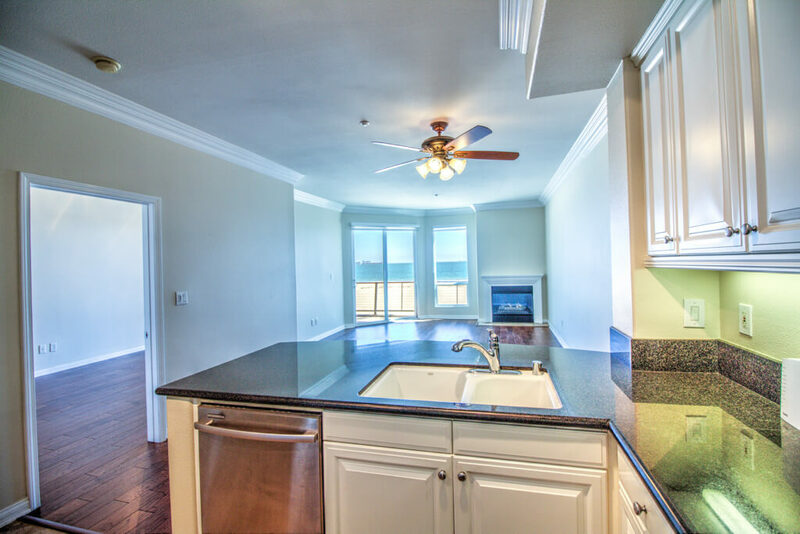 By far one of the best locations on the beach… away from the parking lots and crowds in one of the newest beachfront buildings. 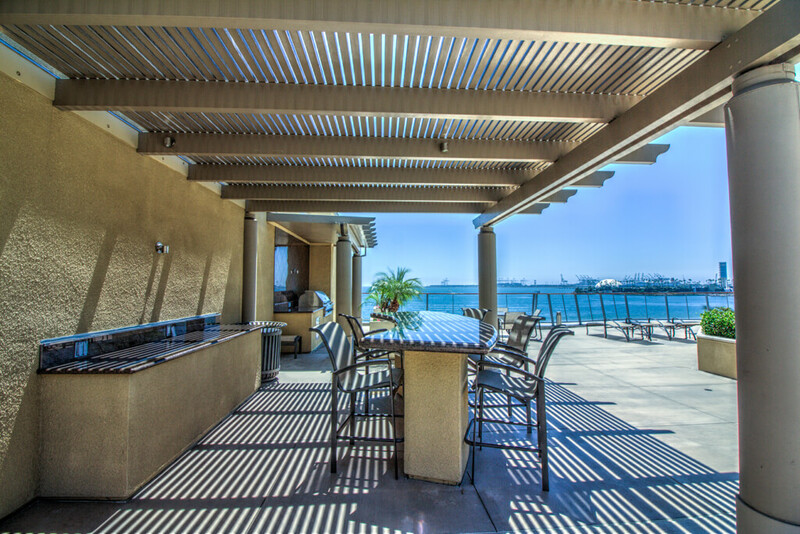 Amazing luxurious amenities include: Elevated spa overlooking the beach with views to Catalina on the large 4th level patio deck, with lounge chairs, patio tables, two huge built in barbecues, outdoor fireplace, bar top with stools, another patio deck with fountain, pool, more lounge chairs, a private clubhouse with full kitchen, pool table, fireplace, lounge area with TV, his and her bathrooms; and, a complete fitness center on the sand with ocean views. 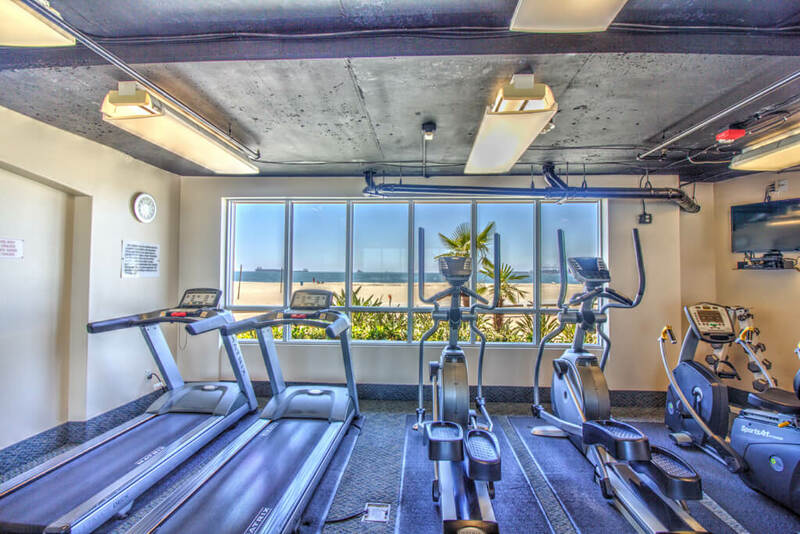 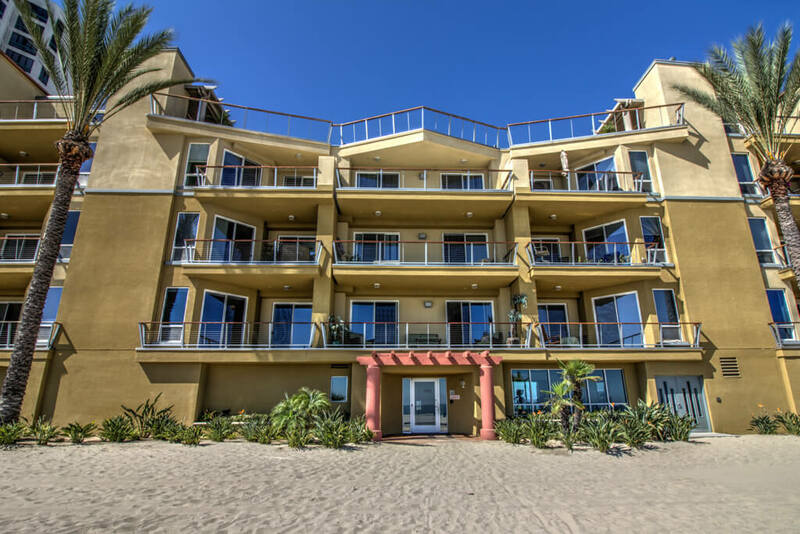 This building is literally right on the sand; and, when you come in from a day on the beach you can use one of the indoor private showers to rinse off before going up to your 2nd level home. 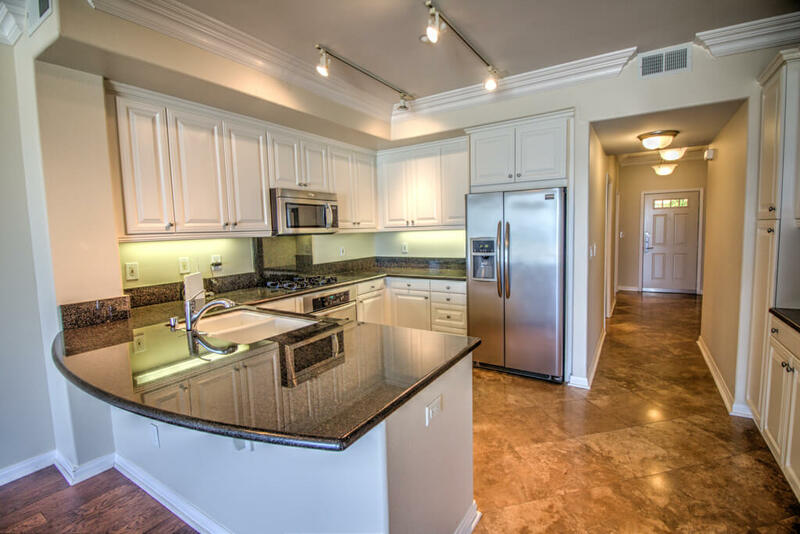 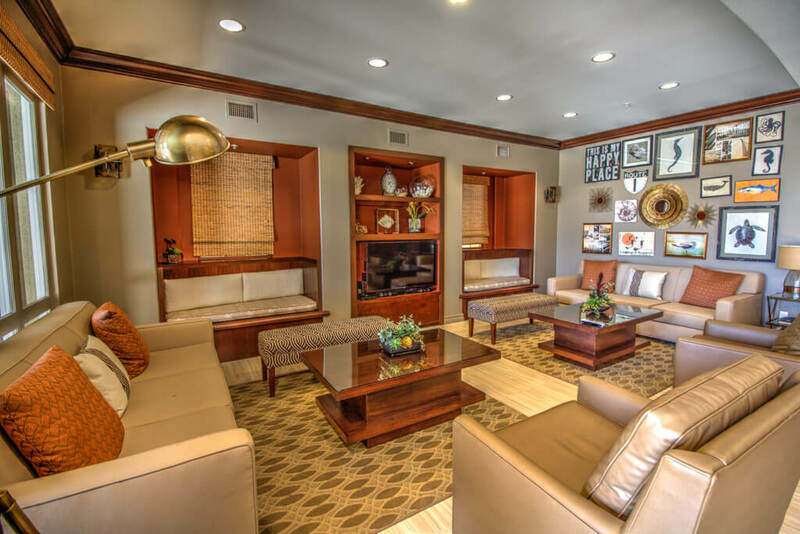 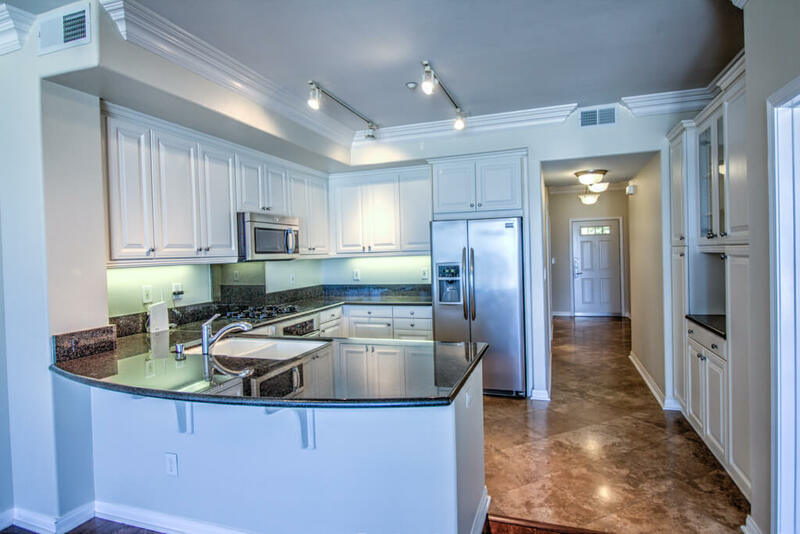 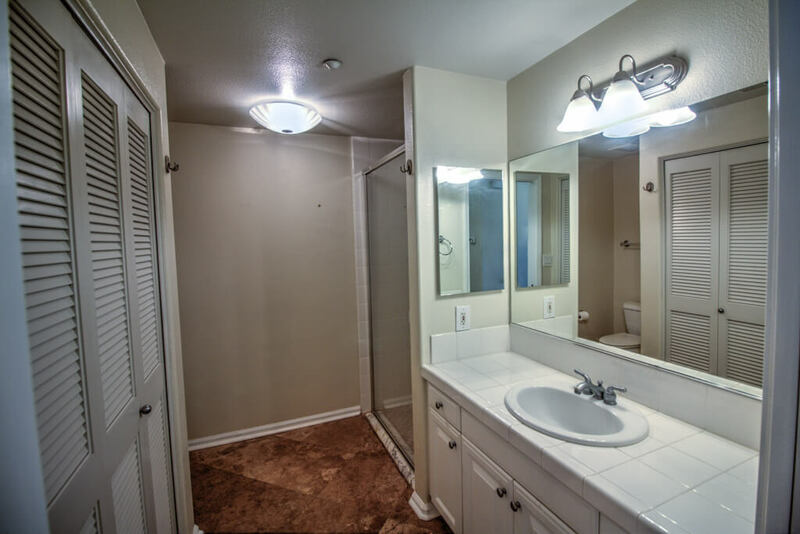 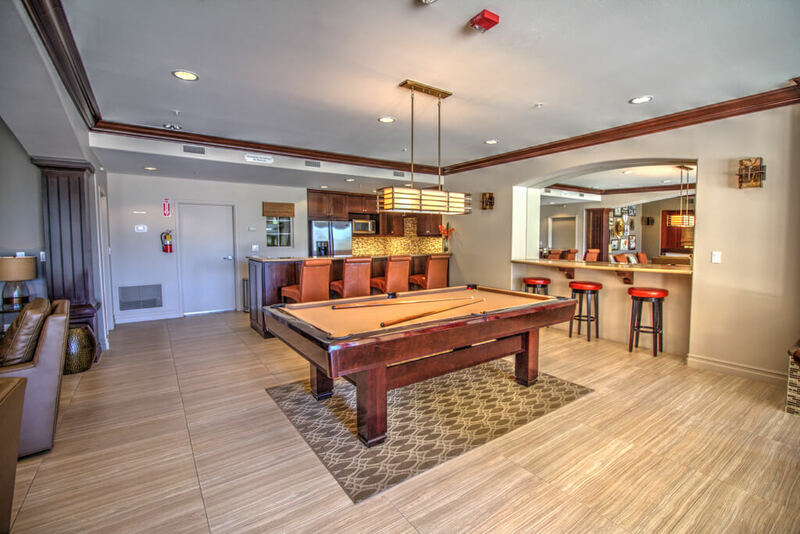 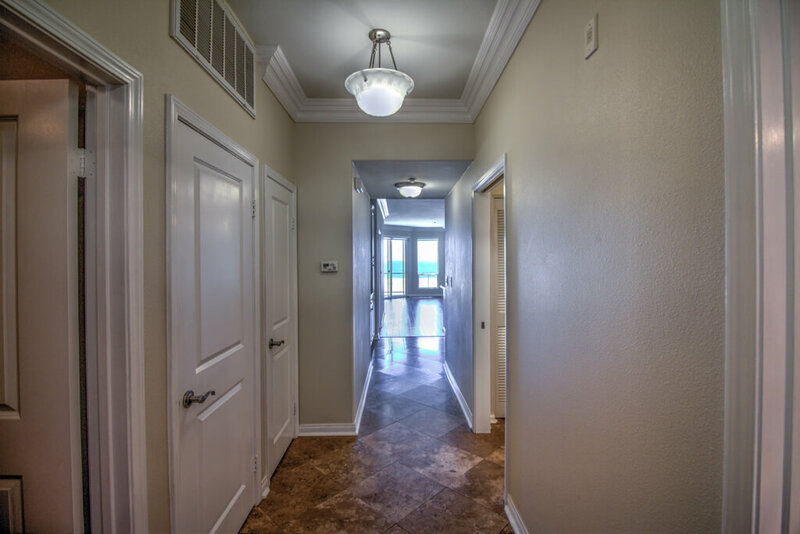 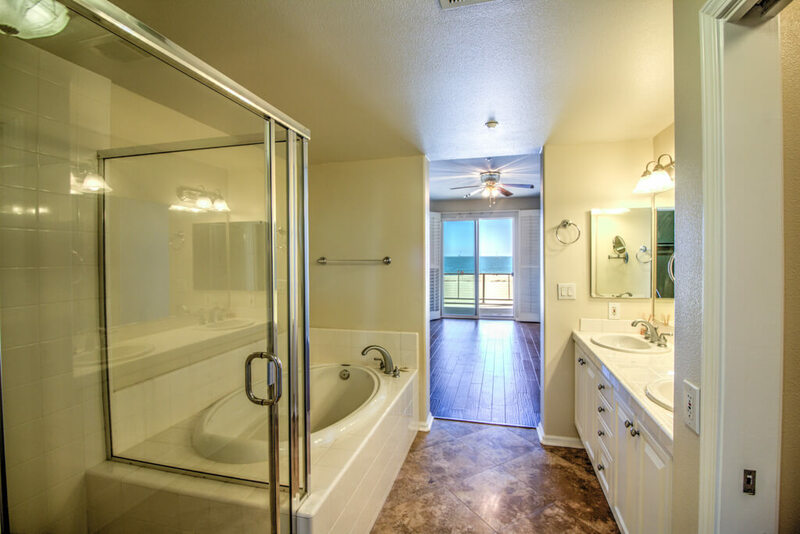 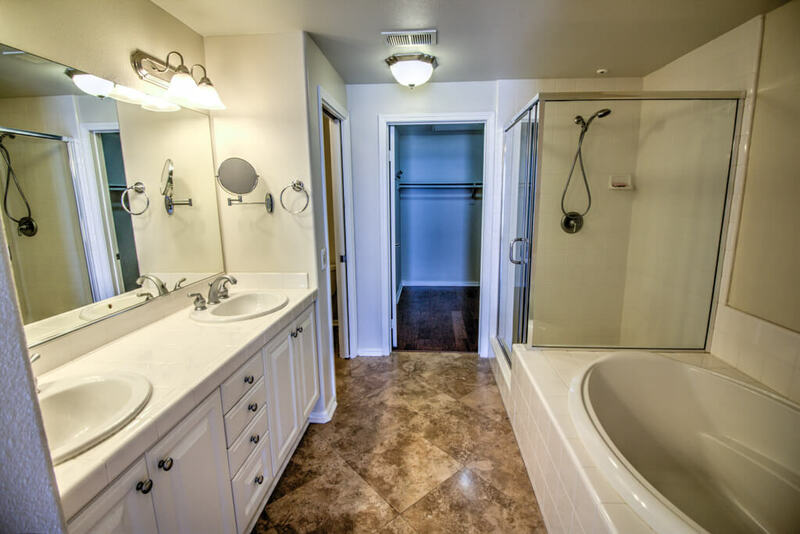 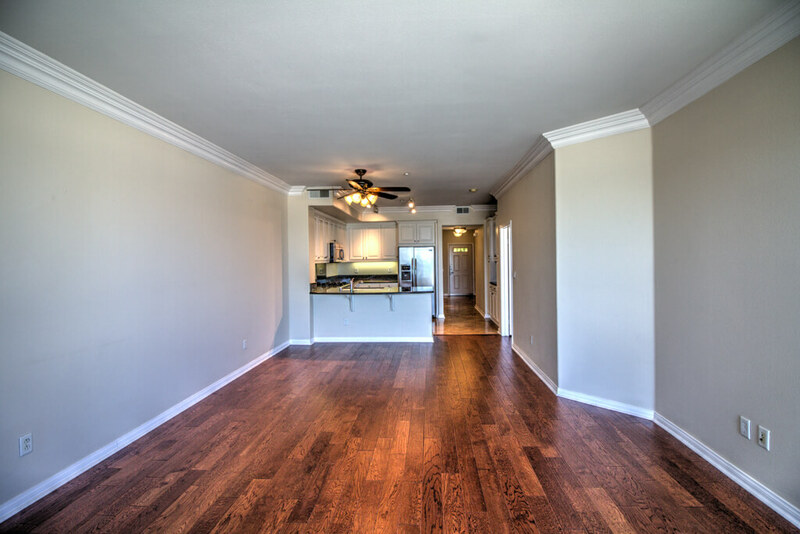 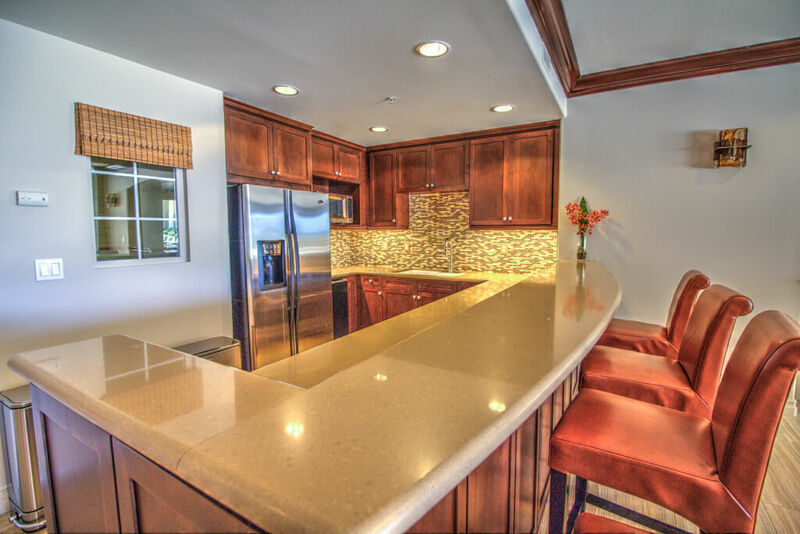 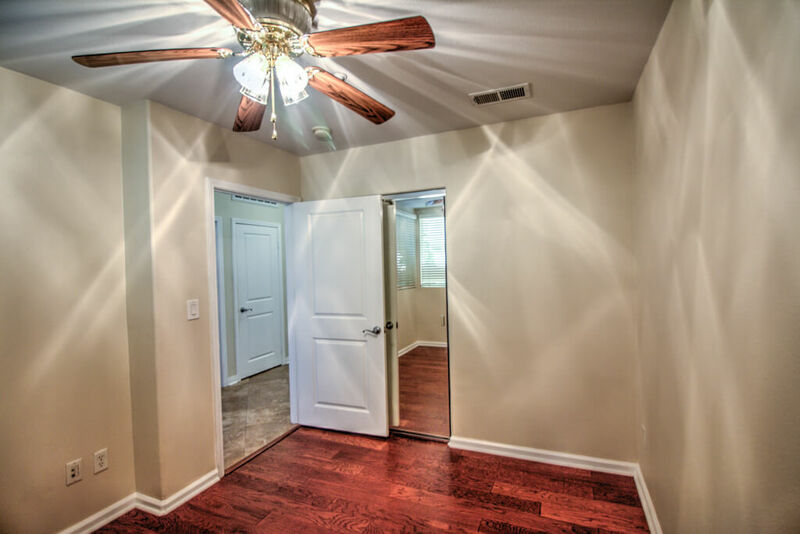 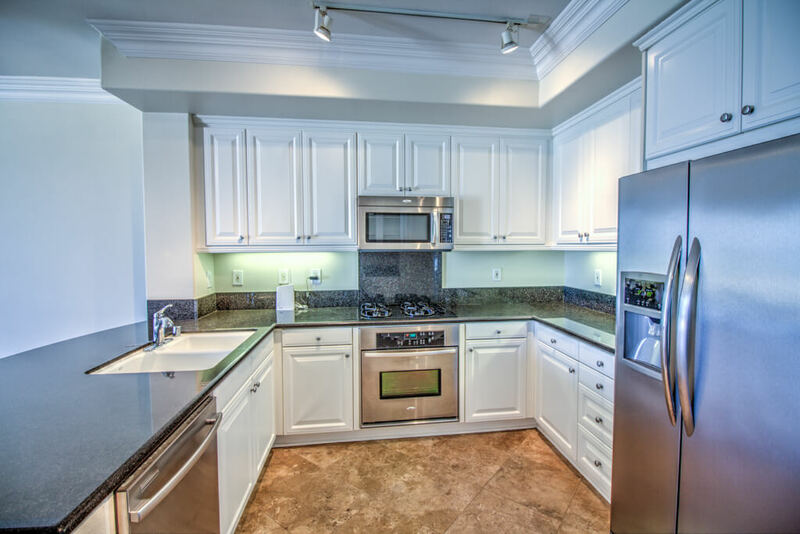 Interior is upgraded with travertine flooring, granite counters and stainless steel appliances. 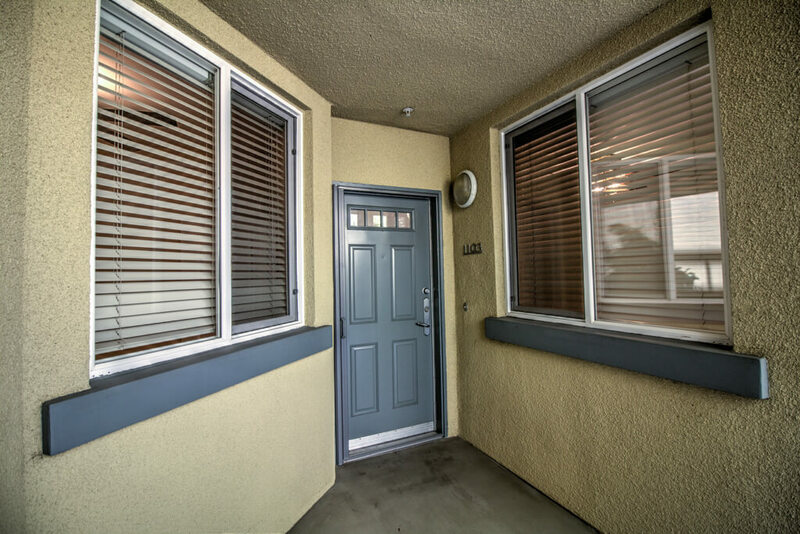 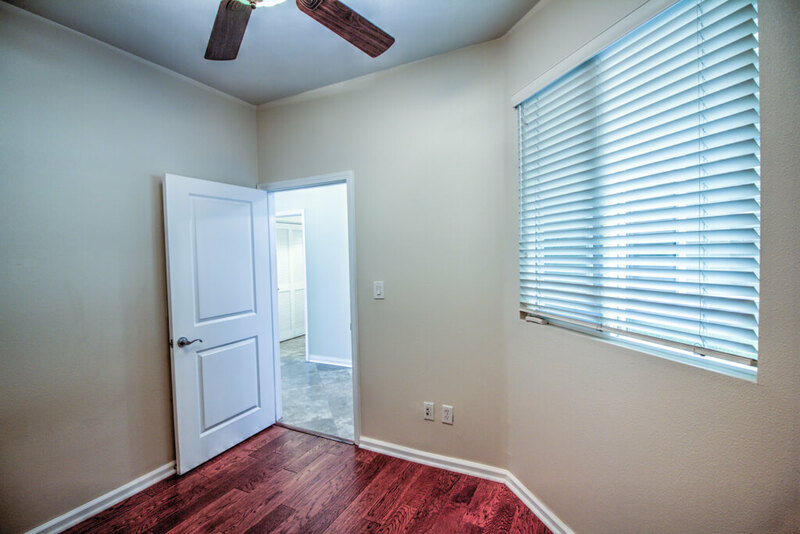 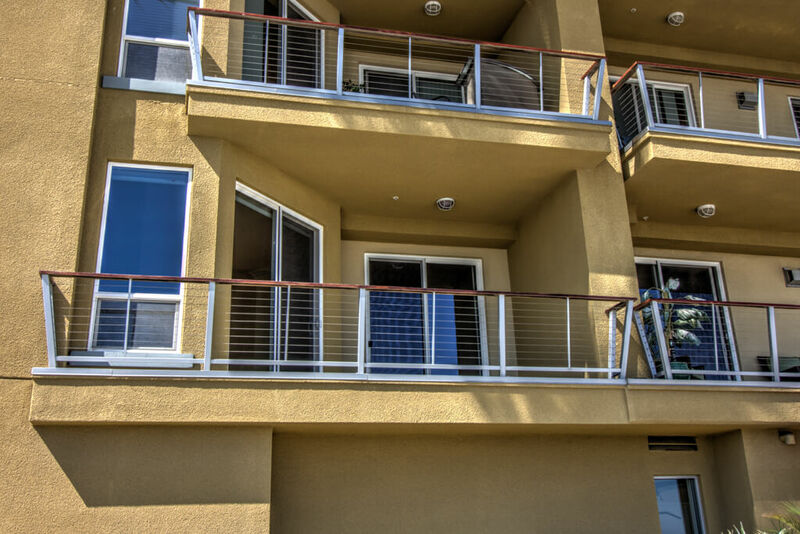 Enjoy a cup of coffee or a glass of wine on your balcony accessed from over-sized sliding glass doors in the living room or the master bedroom. 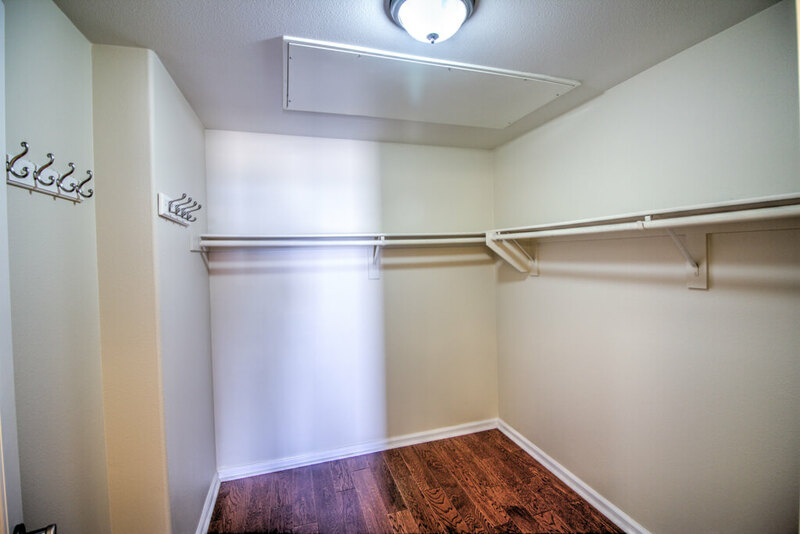 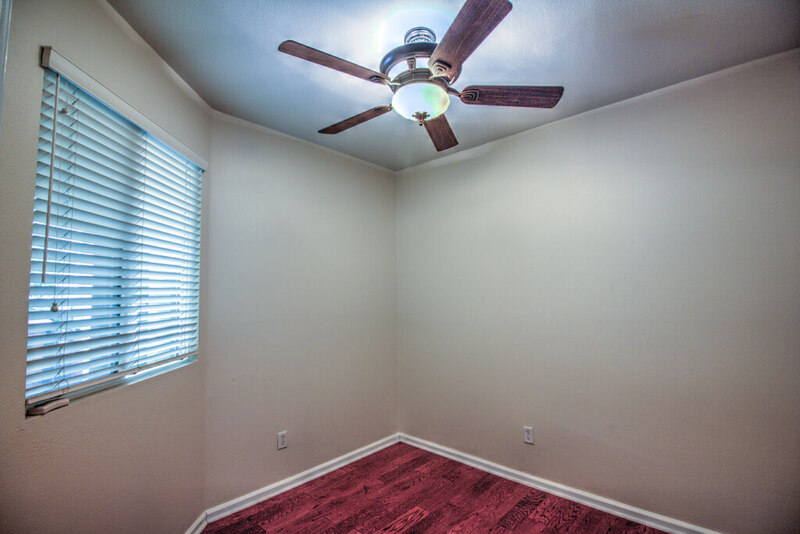 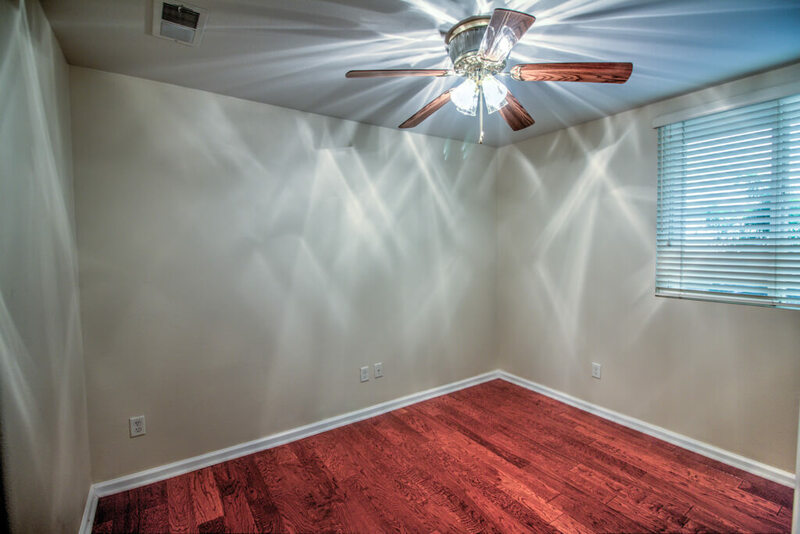 Unit comes with two assigned parking spots, two assigned bicycle racks and an assigned storage room. 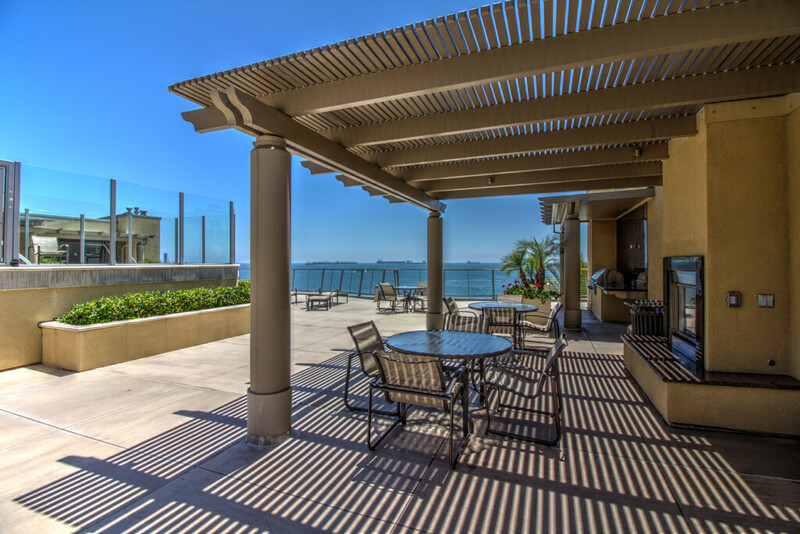 Wake up every day to an awe inspiring ocean view. 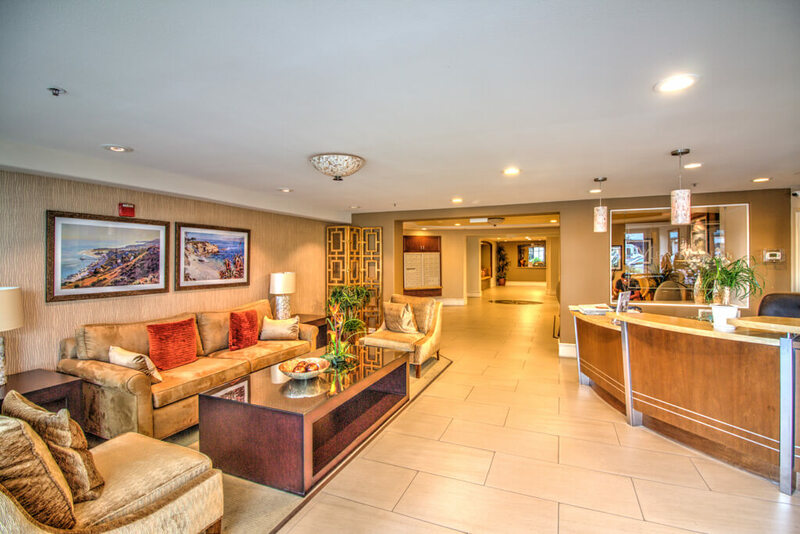 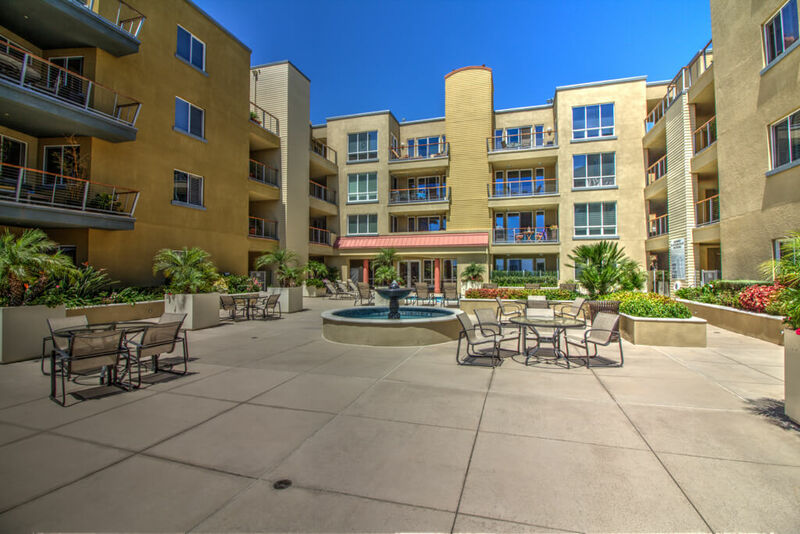 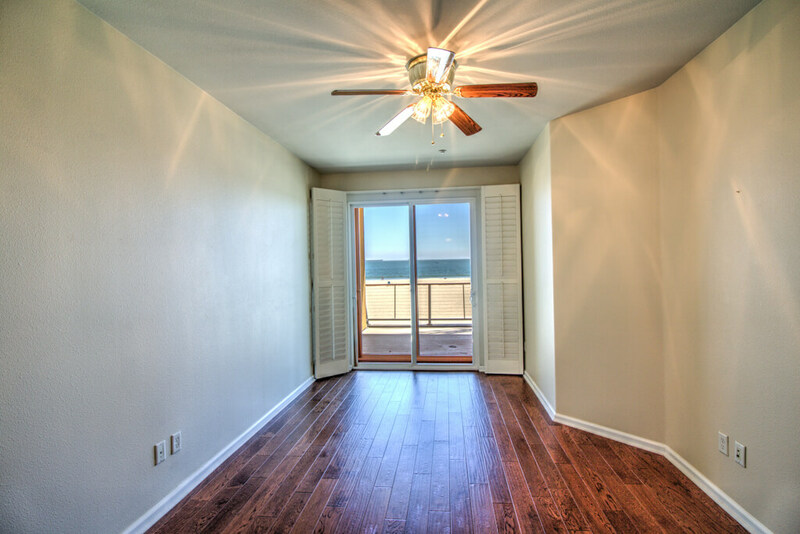 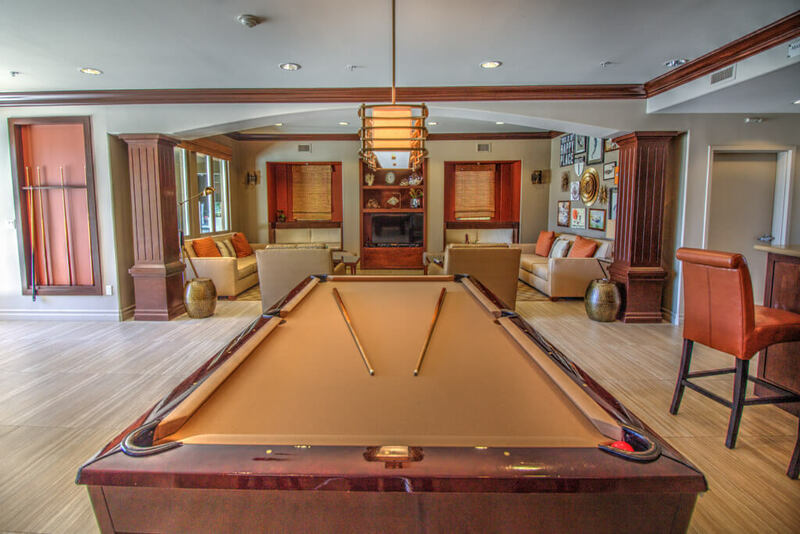 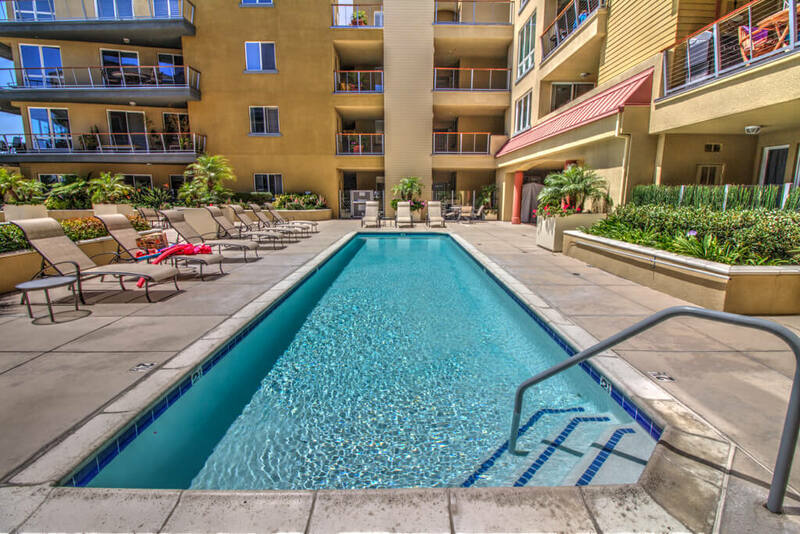 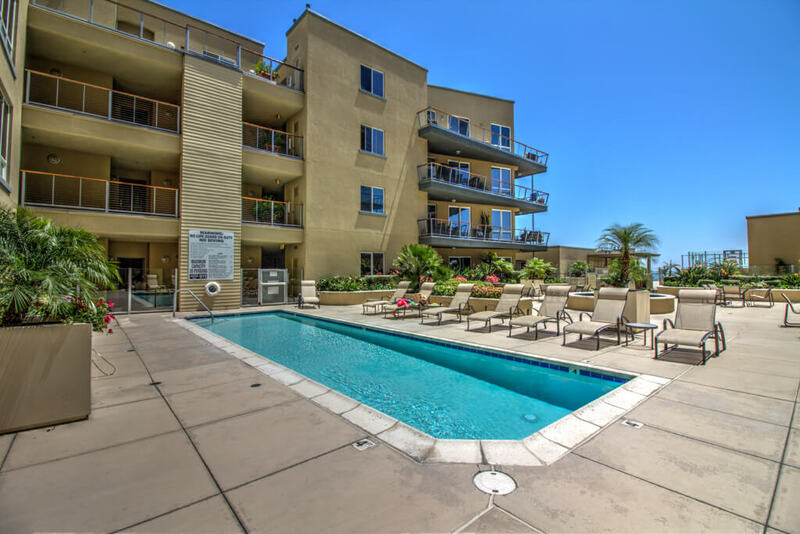 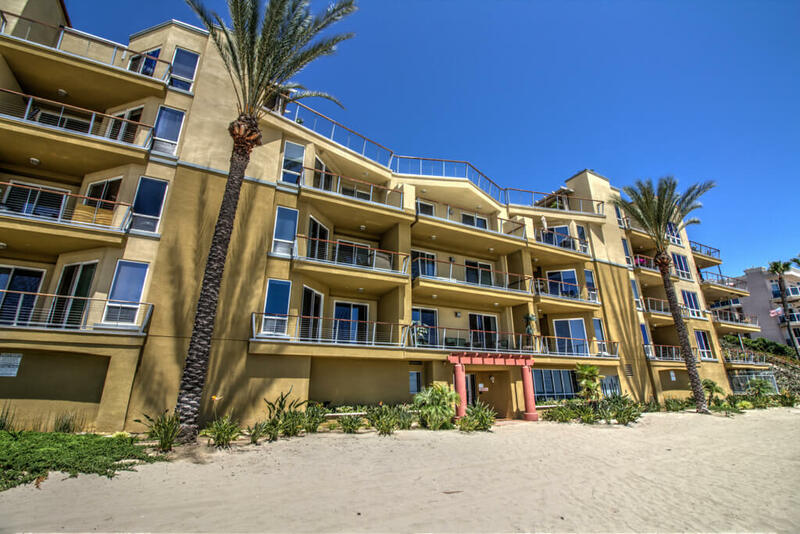 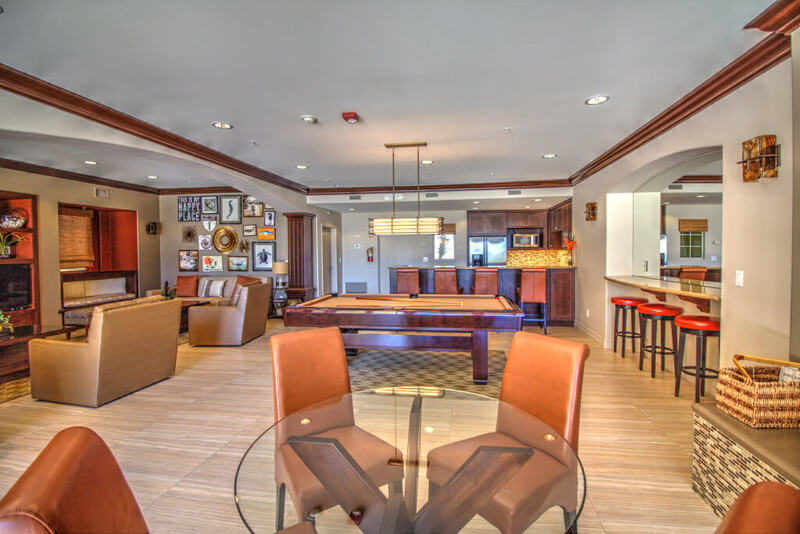 This is not just a beautiful ocean front unit… this is a lifestyle located directly over the sand. 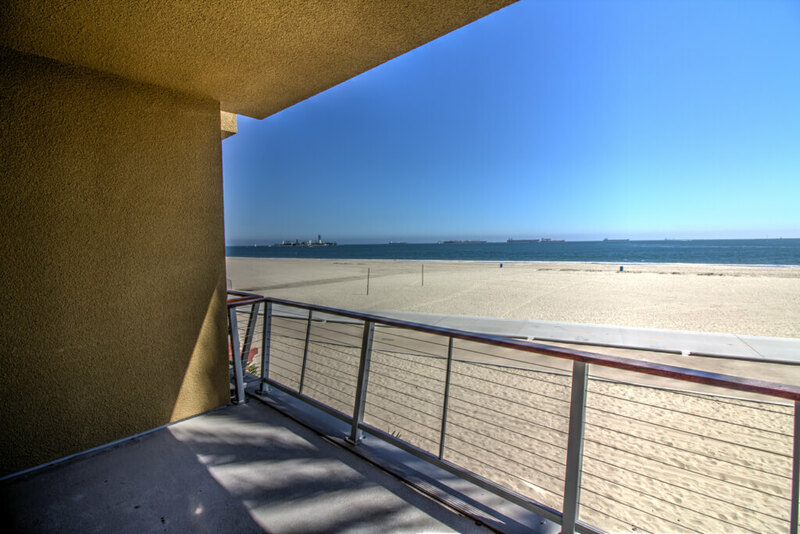 Patrick Owen We bring excellence to the buying experience.